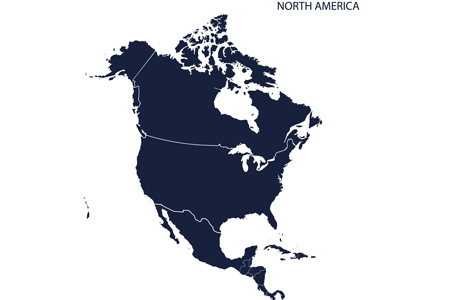 For years biopharma executives have been warning they need more biologics development and manufacturing capacities, particularly in North America. They haven’t been howling at the moon. Four announcements – within two days of each other – offer a sign of relief to some of those executives. Four major, new biopharma facilities are now operating or being constructed to add biologics and related capacity, by Amgen in Rhode Island; Lonza near Houston; Sanofi in Toronto (Canada); and Catalent in Philadelphia. It’s also telling two of the announcements are from biopharma sponsors and two from service providers. That mix bodes bode well for an industry struggling to bring large-molecule (vaccine and other) capacity on-line, at the same time those biopharma executives wrangle with strategy: internal or outsourced capacity? A good mix is probably the right mix. Am I making a mountain of a molehill regarding the tight timing of these announcements? Perhaps, but at the least this is a good indicator of a needed momentum. One thing is more certain: That all four of these new capacities are in North America indicates the economic environment for Cap-Ex expenditure and investment is in place. Many factors go into locating massive capacity, but for example, Amgen does specifically mention the recently enacted tax cuts put in place in the U.S. as a key driver of investment here and now. Here’s a synapsis of the four announcements. On April 10, Amgen announced that Rhode Island is the location of what the company is calling its first ever, “U.S. Next-Generation Biomanufacturing Plant.” The new plant, says Thousand Oaks, Calif.-headquartered Amgen, offers greater flexibility, speed and efficiency over other plants to date. According to the release, the plant will incorporate multiple innovative technologies into a single facility, and be built in half the construction time with approximately one half of the operating cost of a traditional plant. Amgen did not make public specifics about either costs or completion. Rhode Island was selected based on the historical success of the Amgen West Greenwich manufacturing facility, its capabilities and talented workforce, and quality of living for staff and potential to grow. The biomanufacturing plant will be built on the current Amgen Rhode Island 75-acre campus and is expected to create approximately 150 additional highly skilled manufacturing positions, and approximately 200 construction and validation jobs. Amgen says this type of plant offers a highly flexible, modular design, on that can be replicated in future facilities. The plant equipment is portable, smaller and disposable, providing greater flexibility and speed when manufacturing different medicines simultaneously. This allows Amgen to respond to changing product and quantity demands with increased agility. Amgen has invested more than $1.5 billion in this site, already having added an additional 500,000 square feet of manufacturing, utility, administrative and laboratory space to the campus. The site currently employs 625 full-time staff members. On the same day we heard from Amgen, Lonza announced the opening of “the largest dedicated cell-and-gene therapy manufacturing facility [in the world, I’m presuming],” in Pearland, some 30 miles south of Houston, Texas. The facility is 300,000 square feet, and will employ 200 full-time staff by end of 2018. “Lonza Houston will serve as a center of excellence for cell-and-gene-therapy process development from concept through pre-clinical, clinical and commercialization, all the way to the patient," says Andreas Weiler, Business Unit head for Emerging Technologies at Lonza Pharma & Biotech. The Lonza Houston Center of Excellence is already operational and manufacturing for several customers. This facility will have more than 200 full-time staff including scientists, engineers, MBAs and biotechnology professionals by the end of 2018. Two day later, on April 12, Paris-based Sanofi said it is making one of the largest-ever investments in a single building – U.S. $397.7 million (CAD $500 million) – at the Sanofi Pasteur Canadian headquarters in Toronto, Ontario. Construction of a new state-of-the-art vaccine manufacturing facility will bolster the company’s Canadian operations. Specifically, the new capacity will meet growing demand for pediatric and booster vaccines. Also on April 12, Catalent Pharma Solutions announced it completed a $5.5 million expansion program at its 200,000 square foot site in Philadelphia, Penn., to provide additional clinical packaging and storage capacity. According to the release, the facility is one of the largest sites in Catalent’s global clinical supply network. The investment has provided the site with a 40-percent increase in pallet space for both refrigerated and ambient clinical storage, additional cold chain packaging areas, and a new clinical label control area. The building also features a new campus-wide environmental monitoring and building management system. “The expansion not only allows us to meet the demand for additional capacity to serve large-scale clinical studies today, but also provides the space necessary for future growth,” said Albert Quintero, General Manager, Clinical Supply Services. Four capacity-building announcements in two days, two from biopharma leaders and two from leading service providers. Even if it is coincidence, it is still very good news.